Just days before an initial 90-day application window was set to expire, three Pennsylvania casinos have filed the required paperwork to apply for an operator’s license to provide online gambling services to residents of the Keystone State. The three are the only properties so far to put up the initial $10 million application fee, which would allow the casinos to offer gambling across all three categories newly regulated by the state: peer-to-peer interactive games such as poker; non-peer-to-peer interactive table games; and interactive games that simulate slot machines. It is still possible that other Pennsylvania casino properties will file applications by tomorrow’s deadline, while another option, allowing the state’s casinos to be licensed in only a single gaming category (with an application/licensing fee of $4 million), will extend for another 30 days. 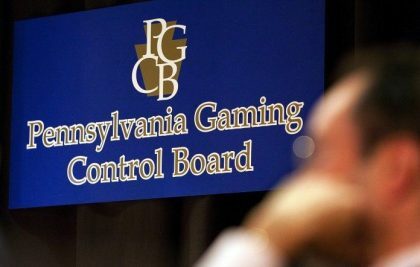 News of the three applications was released by Douglas Harbach, a spokesman for the Pennsylvania Gaming Control Board (PGCB). 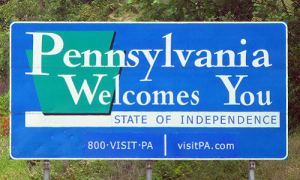 Following the closure of the secondary application window on August 16, Pennnsylvania’s gaming authorities will be able to offer any of the unclaimed 13 licenses approved by the state to be applied for by other corporate entities, assuming they would establish a physical presence of some form within the Commonwealth’s borders, as also called for under the state’s regulations. Pennsylvania became the fourth US state to formally approve online gambling when Governor Tom Wolf signed a regulatory measure last October. However, the state has been slow to move forward since, beset both by a slow progression of the needed regulatory framework, plus the hefty combination of the up-front application fee and an onerous 54% tax rate on operating profit that may have many of the state’s casinos saying that the whole thing isn’t worth the investment. It remains to be seen how many of the state’s casinos will finally be licensed; the initial total of 12 licensees was expanded by one when the state approved the South Philadelphia Stadium Casino project, with that property projected to open near the end of 2018. Had none of the state’s existing or under-construction casino properties decided to jump on board, despite the hefty up-front fees, the Pennsylvania Legislature could have ended up with significant egg on its face, with an entire rethinking of the whole online-gambling approval for the state among the possible developments. Friday’s applications forestall that possibility, though future pleadings by the licensed casinos to reduce the annual licensing fee and over-the-top tax rate are a virtual certainty. In the meantime, Pennsylvania’s state-operated iLottery offerings — an online version of the state’s lottery — has already been launched and is starting to generate a revenue stream for the state’s coffers. Pennsylvania is also reported to have been in at least preliminary discussions with the other three online-regulated US states — New Jersey, Nevada, and Delaware — about liquidity-sharing arrangements. Such compacts would apply only to online poker, but a deal could serve as an added inducement for an online-poker brand to seek independent licensing if, as expected, one or more of the Pennsylvania licenses become available.